This site has been built and is operated by the Informatics and Soils and Landscapes teams at Manaaki Whenua. It allows you to view maps and soils information from some hundred soil-related map layers. The Fundamental Soil Layers (FSL) predate and are being replaced by S-map which is considered better quality and more reliable data. However, there is not yet national coverage for S-map, so the FSL still represent best available soils data for significant parts of New Zealand. The FSL contain spatial information for 16 key soil attributes. Each attribute is measurable and is recorded in appropriate units of measure. 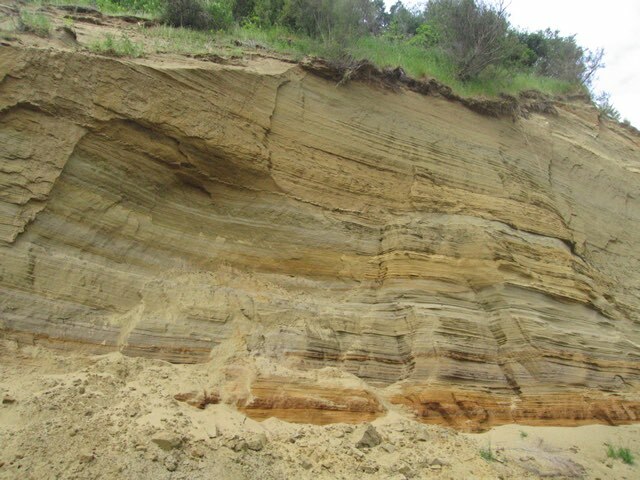 The New Zealand Soil Classification (NZSC) classifies soils into orders, groups, and subgroups. This classification grew out of the New Zealand Genetic Soil Classification and, where possible, preserved its useful features. The resulting classification represents the best attempt to classify New Zealand soils at our current state of knowledge. The Ross Sea Regions database contains historic and recent soil site and soil pit horizon data from Antarctica. There are descriptions of over 1000 soil pits at soil sites clustered around ice-free areas, reaching as far south and east as 87° S, 150° E and as far north and west as 72° S, 170° E.
RSR layer site report pages are not optimised for small-screen devices. Manaaki Whenua - Landcare Research New Zealand Limited has compiled the maps and other information available on this site from data derived from numerous sources. The information may not be complete, correct or up to date. We do not accept responsibility for any actions taken that rely on it or consequences arising from the use of it. The maps and information you can view from this website are licensed under a Creative Commons Attribution-NonCommercial-No Derivative Works 3.0 New Zealand License (BY-NC-ND). This licence allows you to use the maps and information taken from the site only for non-commercial purposes. (If you wish to use material from this site for commercial purposes, please contact us.) If you remix, transform, or build on material from this site, you may not distribute the modified material. The full terms of the licence are available here. except as required by law or as otherwise agreed in writing between the us, the maps and information are licensed by Manaaki Whenua on an "as is" and "as available" basis and without any warranty of any kind, either expressed or implied. subject to any liability that may not be excluded or limited by law, Manaaki Whenua shall not be liable on any legal basis (including without limitation negligence) and expressly excludes all liability for loss or damage howsoever and whenever caused to you. This website is protected by copyright and may not be reproduced in whole or in part except under licence from Manaaki Whenua - Landcare Research New Zealand Limited. By using this site you agree, and are deemed, to be bound by the following Terms. If you choose not to be bound by the following Terms, then Manaaki Whenua does not grant you the right to use this site. You acknowledge that Manaaki Whenua acts as the provider of this website. You agree that you will not attempt to alter this site or employ any robot, spider, or other device or process or means whatever to use this site for any unauthorised purposes. Manaaki Whenua accepts no obligation to monitor the use of this site. However, Manaaki Whenua reserves the right to disclose any information as required by law, to block access to you, your agents, associates or your company and take such other action as may be reasonably necessary to prevent any breach of these terms and conditions or any breach of applicable laws. Manaaki Whenua will also in its absolute discretion fully cooperate with the relevant authorities with respect to any investigation of suspected unlawful activity or violation of the website's security. Manaaki Whenua does not warrant that this website or the internet generally will be uninterruptible or error free or that any information, software or other material accessible from this site are free of viruses or other harmful components. Manaaki Whenua is not responsible for any information contained on sites to which this website provides links nor for any third party content that can be accessed through this website. The inclusion of any link to a website is not an endorsement of the linked site. You also acknowledge that Manaaki Whenua may suspend the operation of this website for repair or maintenance work or in order to update or vary the contents or functionality of the website. You accept that access to or use of this website or services or pages linked to it will not necessarily be uninterrupted or error free. Manaaki Whenua reserves the right to modify or terminate this website for any reason without notice at any time. These Terms were last updated on 20 April 2016. Manaaki Whenua - Landcare Research New Zealand Limited has compiled the maps and other information available on this site from data derived from numerous sources. The information may not be complete, correct or up to date. We do not accept responsibility for any actions taken in reliance on it or consequences arising from the use of it. The maps and factsheets you can view and download from this website are licensed under a Creative Commons Attribution-NonCommercial-No Derivative Works 3.0 New Zealand License (BY-NC-ND). This licence allows you to use the maps, factsheets and data taken from the site for non-commercial purposes only. (If you wish to use material from this site for commercial purposes, please contact us.) If you remix, transform, or build upon material from this site, you may not distribute the modified material. The full terms of the licence are available here. Except as required by law or as otherwise agreed in writing between the us, the maps and factsheets are licensed by Manaaki Whenua on an "as is" and "as available" basis and without any warranty of any kind, either expressed or implied. To view and download the maps and information from this website, you must accept the terms of the Creative Commons licence by clicking the "Accept" button. This site has been built and is operated by the Informatics and Soils and Landscapes teams at Manaaki Whenua. It can be used to view maps and related information about New Zealand soils. Maps come from three main sources – the Fundamental Soil Layers, which contain spatial information for 16 key soil attributes; the New Zealand Soil Classification, which represents the best attempt to classify New Zealand soils; and the Ross Sea Regions database, which contains historic and recent soil site and soil pit horizon data from Antarctica. Click on this button to change the soil data shown on the map. You can select data from different soil datasets. Click on this button to set the base layer and context layers to use in the map. Clicking on an area of the map where there are soil data will display soil information about that layer. Don't show this again today. Geolocation functionality only available within New Zealand. Pressing the geolocate button before the browser / this app has had a chance to pick up your location. You have disabled / denied browser location tracking. Location services are disabled in your device. Click on this button to reveal overview map. Click on this button to reset page to default state: zoom map to default view and removes pop-ups. Click on this button to locate user, and zoom the maps to their location (if browser permission has been granted). This facility uses functionality built into the user's browser. Enabling and disabling location functionality differs across browsers and devices. Try searching the web for "<your browser or device name> location sharing" for further assistance. This control alters the transparency of the soil layer. This allows features on the base layer to be visualised along with the soil layer. Clicking on an area of the map where there are soil data will display soil information about that layer. For most layers, this information will be the class to which the clicked area belongs, and a modal value. The mode is the value that appears most often in a set of data and is the value that is most likely to be sampled. For general information about this site, please see the About section.